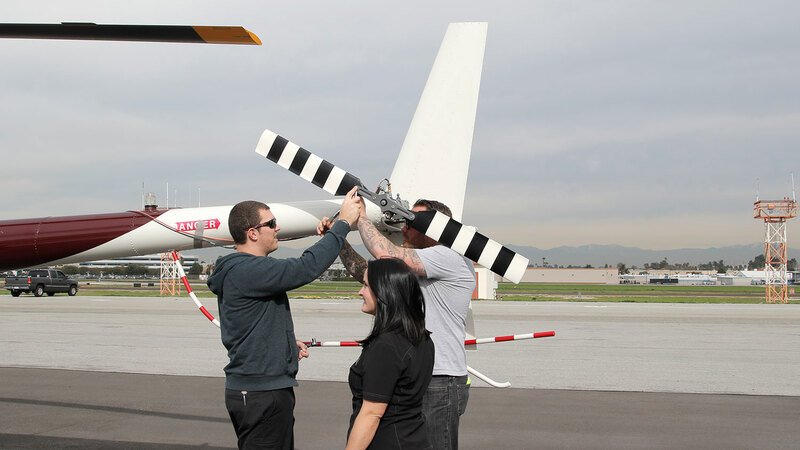 This is a basic “hands-on” course for maintaining the airframe portion* of R22, R44, and R66 helicopters. A thorough review and explanation of the Maintenance Manuals is provided. Courses are taught in English only. Students not fluent in the English language must provide their own interpreter with technical helicopter knowledge; students not fluent in English will not be admitted without an adequate interpreter. Course attendance alone does not guarantee passing. Written exams are given daily and passing grades are required. Shop sessions will also be used to evaluate student’s practical (“hands-on”) performance. Approximately 1.5 hours of reading homework per night is required. 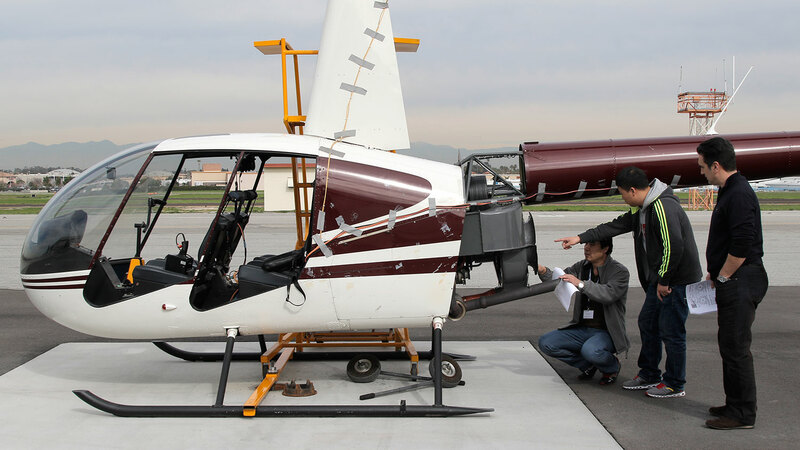 Students will fail if they do not pass each exam and, if in the opinion of the course instructor, they cannot safely inspect and maintain a Robinson helicopter. 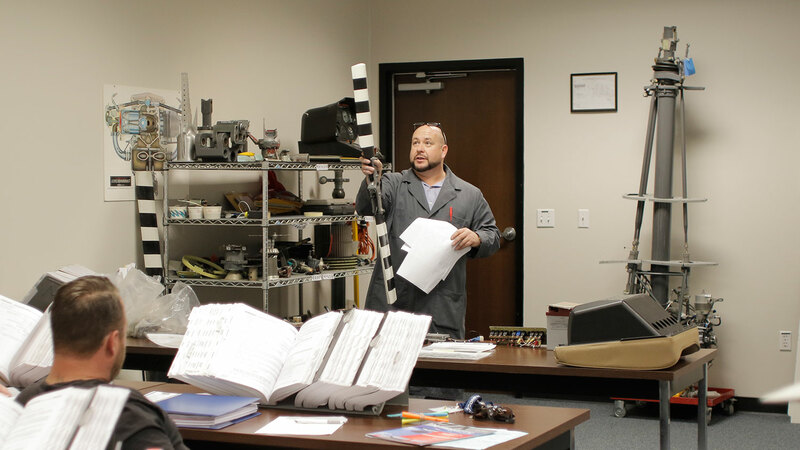 Courses are only available to government-licensed airframe mechanics or foreign equivalent. 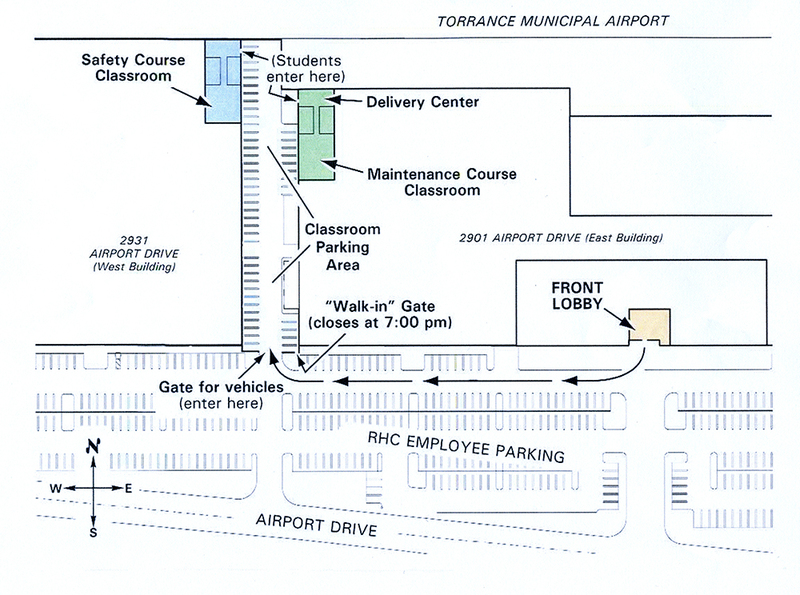 This course does not have either Transport Canada or EASA approval. 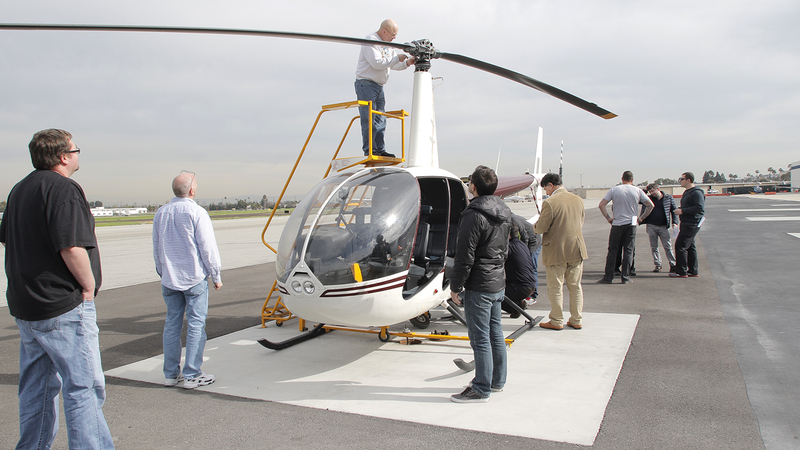 For EASA-approved R66 & RR300 maintenance training, please visit EASA Part 147 Robinson R66 Airframe Engineering. For Transport Canada-approved R66 maintenance training, please visit Canadian Robinson R66 Airframe Field Maintenance. For EASA-approved R22, R44, & R66 maintenance training, please visit www.moringtonsandfordaviation.com. Government-issued Airframe Mechanic (or Engineer) License, or military equivalent for active-duty personnel attending on orders. A working knowledge of aircraft hardware, piston engines, magneto ignition systems (R22/R44), turbine engines (R66), TIG welding of aircraft steel tubing, sheet-metal construction & finishing, metal fatigue, weight & balance, basic physics, and basic electronics. Students must review subject areas they may be weak in prior to the course. Each student must bring the following to class. DO NOT bring tools. Robinson provides all necessary tools. Course duration is 8 full days. Monday- Friday and Monday – Wednesday. No classes are held on Saturday and Sunday. Instruction commences promptly at 8:00 a.m. and concludes at approximately 4:00 p.m. each day. (Note: The last day of the course is a full day, so plan your travel accordingly.) Students should arrive at least ten minutes early each morning to find a seat and get settled for the day’s session. A completed enrollment form, a copy (both sides) of the attendee’s government-issued airframe mechanic license (or foreign equivalent), a photo I.D. copy, and tuition must be received by RHC prior to confirmation of the course date. Enrollment is limited to 12 students per class on a first-come, first-serve basis; therefore, registration and tuition should be submitted as far in advance as possible to ensure confirmation. Classes are subject to cancellation if sufficient registration is not achieved two weeks prior to commencement of each scheduled class. (IMPORTANT: Please do not make travel arrangements prior to course confirmation.) If confirmation has not been received within 2 weeks, please contact the Course Administrator (maintenance_course@robinsonheli.com) prior to making travel arrangements. Tuition is $1,100.00 per person. Reservation and tuition are valid only for the confirmed applicant and are not transferable. Rescheduling requests must be made in writing and received by the Course Administrator at least 2 weeks before the class start date to avoid 50% penalty. Cancellation must be in writing and received by the Course Administrator at least 2 weeks before the class start date and a 10% processing fee will be charged. No refund will be issued for cancellation requested within 2 weeks of the class start date. “No shows” forfeit their tuition entirely. Sky Ranch Engineering Manual. Purchase online in the Robinson store under POHs & Manuals or call Robinson Customer Service to order and reference RHC Part No. R5630. Read Introduction & Chapter 1 prior to first day of course.